Welcome to the OI Solutions Career Portal! 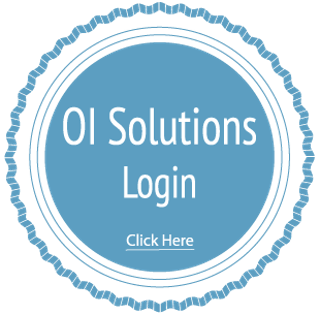 OI Solutions is your all-access pass to an extensive collection of career tools & e-learning resources. Take career assessments, build your resume, prepare for an interview, get expert video advice, or run a job search on the go. Want to take OI Solutions with you on the go? Just download the app on the Apple AppStore or Google Play today! OI Solutions is OI Global Partners’ proprietary, Web-based career transition and talent management tool. When combined with our one-to-one consultation, it creates a powerfully effective experience for the participant. This user-friendly, multi-media, web-based global platform has been designed to provide increased resources for job-seekers and those interested in entrepreneurial opportunities. OI Solutions offers users the most-up-to-date information in a variety of formats – video, audio, written tutorials and Fast Classes® 5-minute eLearning modules – for those with different learning styles and at different stages of transition. “In conjunction with the boutique-level service delivered by our outplacement coaches, this platform gives users the maximum help they need to get into the job market quickly with professional, real-world advice and tools. This best-in-class online support for job seekers supplements the personal coaching and guidance they receive,” said Claudia Gentner, Vice President of Operations for OI Partners. Lexis/Nexis, which generates lists of companies with contacts as well as many areas of research drawn from over 50,000 online sources. It is available in English and six other languages. Executive Grapevine’s eGOLD Recruitment, used to find global recruiters and staffing agencies. Indeed.com’s Job Search portal – an unprecedented resource for job-seekers. Candidate’s dashboard, which includes all available content presented in a user-friendly area so they can get going quickly and track their progress. Job openings integrated with O-NET Resource Center for obtaining information related to salary, locations and skills. Interview Simulator® with hundreds of questions and associated videos from employers who use them in interviews. The system records mock interviews with candidates and plays back each session. Lifetime Access for alumni of OI Partners’ outplacement programs after their services have concluded, along with access to the OI Partners Resume Database used by recruiters and corporations searching for qualified people. Interested in using OI Solutions to help with your career goals? Let us show you how OI Solutions can work for you! Schedule an appointment with our Career Transition specialist today!